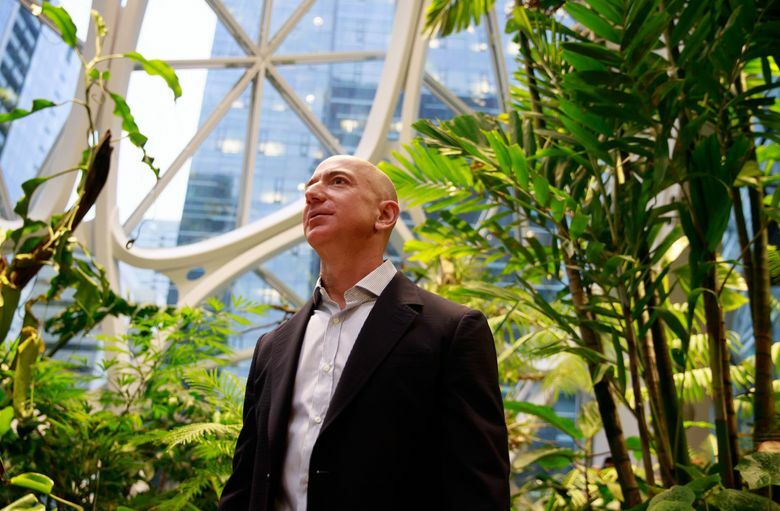 Jeff Bezos provided the first donations as part of his pledge to help homeless families with $97.5 million in grants to two dozen nonprofit groups across the country. The awards are the first distribution from the $2 billion Day One Fund, which the Amazon chief executive officer and his wife, MacKenzie, launched in September. Its dual mission is to provide aid for the homeless and to fund a network of nonprofit preschools. The 24 recipient organizations announced Tuesday are sprinkled across the country from California to North Carolina and range from the Catholic Charities Archdiocese to the Salvation Army and local family and housing services. Fifteen of the charities were bestowed with $5 million gifts and the remainder received $2.5 million donations. In the Puget Sound area, the Refugee Women’s Alliance in Seattle was given $2.5 million, while $5 million was granted to Catholic Community Services of Western Washington, in Tacoma. Editor’s note: A comment thread was erroneously attached to this story when it was first published. It has since been removed, in accordance with our policies on stories of this nature.